The world’s first 4K mobile display shown by EverDisplay. 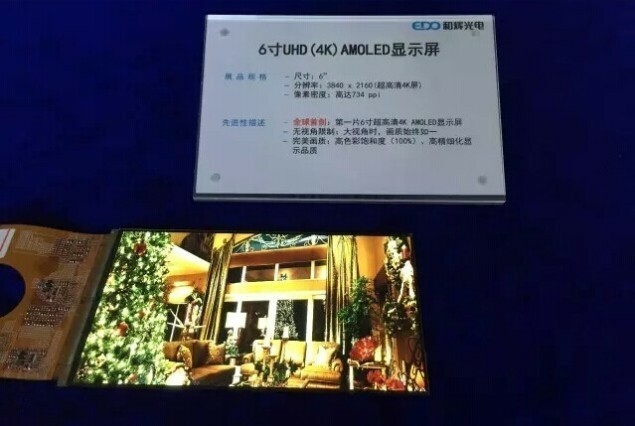 It is a 6” inch 4k screen has a pixel density of 734PPl. But it’s not meant we saw an upcoming smartphone display, because battery life and heat output will not up for it. So what is for, the company claims that this display would be perfect for VR applications and 3D imaging, like Oculus and HTC virtual reality. The Company is also working on round displays for wearable and car industry.